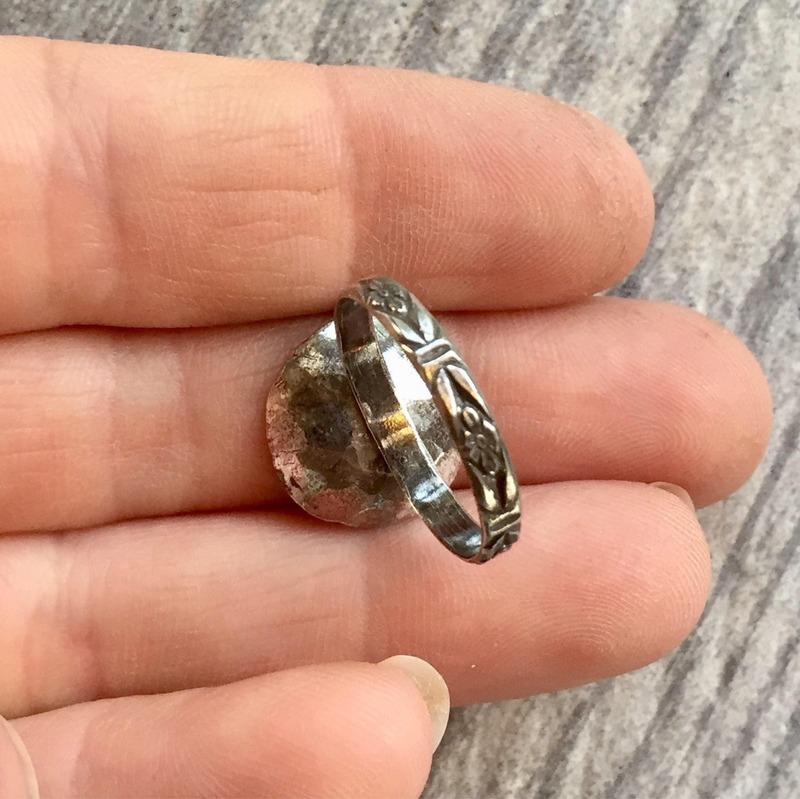 The silver in this ring is composed of sterling silver scraps and shavings, re-forged into a unique, modern rustic piece. 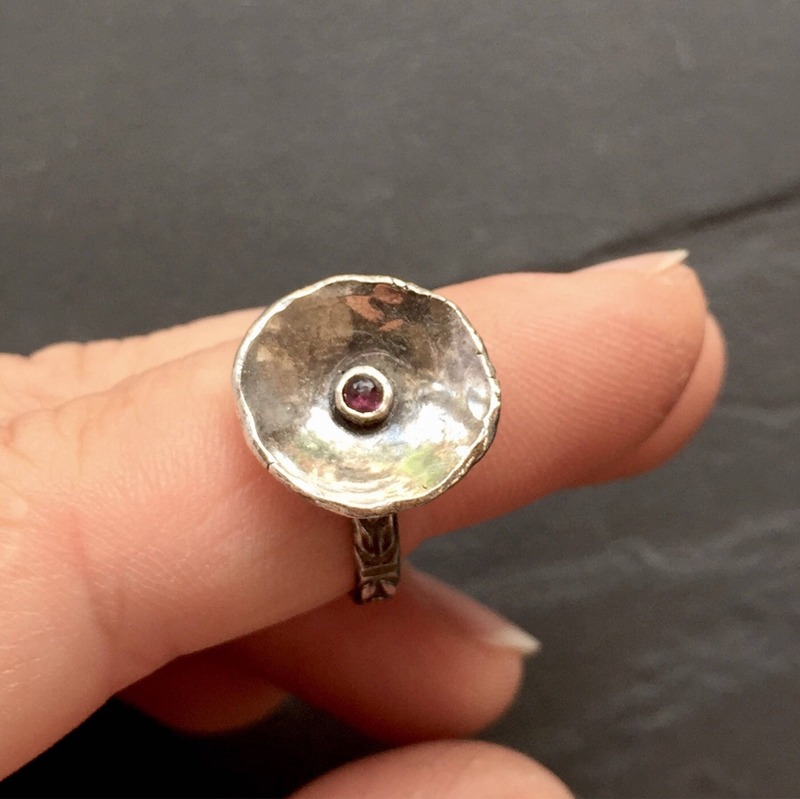 A small, deep pink tourmaline sits in the middle of the recycled silver shell. 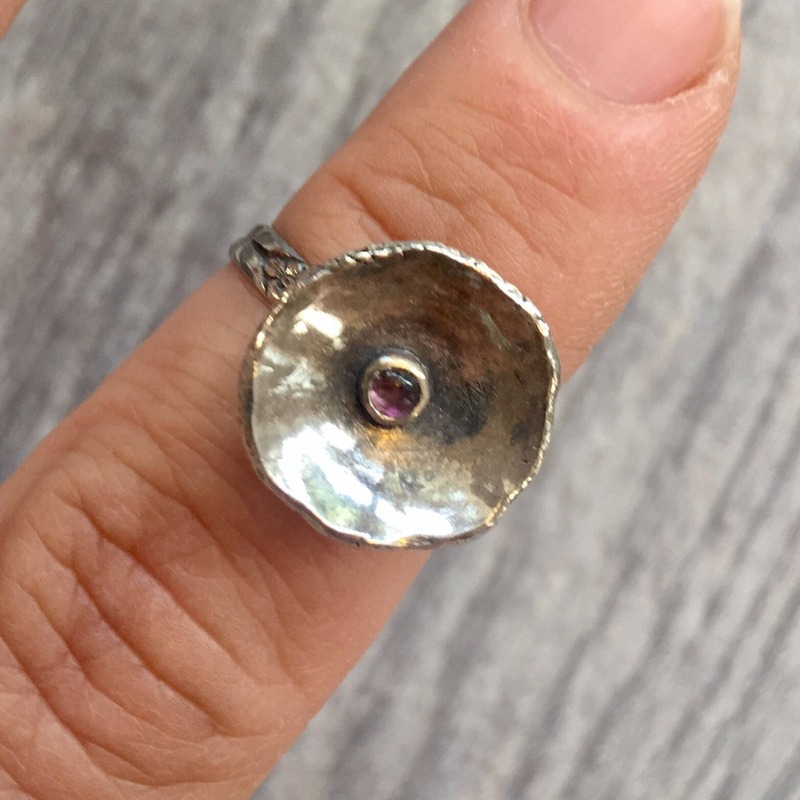 The band has a delicate floral pattern. • The face of the ring is approximately 14mm in diameter. • The stone is high quality, eye clean, natural pink tourmaline.